SKU: sjs05. Category: Canvas Print. This painting is a stunning reminder that strong communities are built upon the foundations of strong families and that families are strengthened when supported by community. 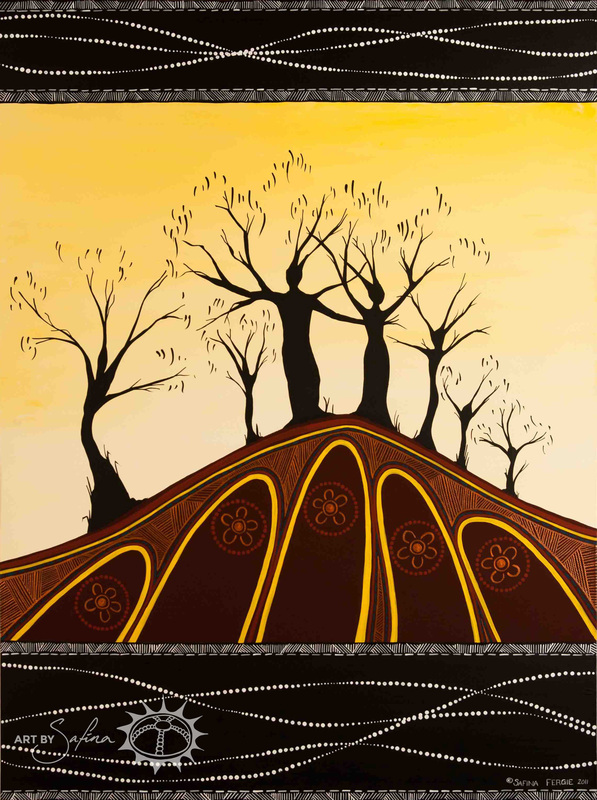 The figures of the elders, fathers, mothers and children are subtly revealed in the silhouettes of the trees. Hidden within the mountainside are family campfires representing our Indigenous community.